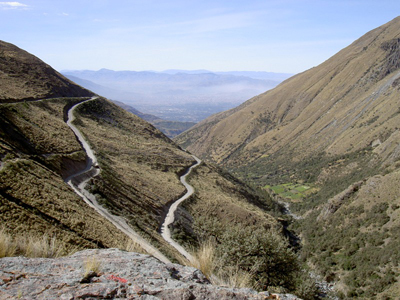 This hiking tour is characterized by the impressive view of the valley of Cochabamba. Starting our hike at 4,500m. of altitude, it will lead us through a majestic landscape of mountains and crystal clear mountain lakes, until we will reach the top of the Pico Tunari (5,035m) from where we will have a spectacular view over the Cordillera Tunari mountain range and the entire valley of Cochabamba. 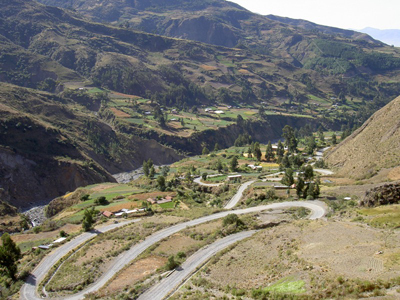 Early in the morning we will leave Cochabamba in private transport towards Quillacollo where we turn off the main road and start to rise a mountain road via the thermal springs of Liriuni up into the mountains of the Cordillera Tunari. On our way up we will see forest of kewiñas trees and with some luck we will spot the majestic condor which habitats this region. 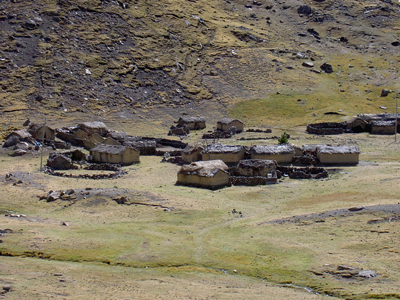 The road will also pass through small villages with houses of adobe and thatched roofs. The Higher we get, the grass covered mountains will change into rock formation whose peaks are sometimes covered with snow. We will leave the main road and go up by car to the top of the valley where we find some crystal clear mountain lakes and herder pasturing their llamas and alpaca. 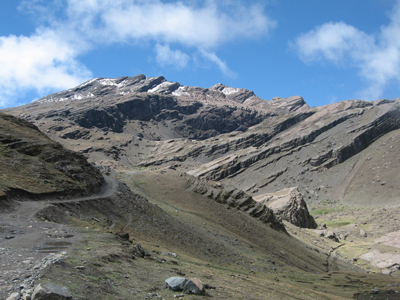 Here we will start our three hours ascent to the top of central Bolivias highest peak. Before we will reach the top we will have to face some rock formation, obstacles which are easy to overcome, which makes our ascent to the summit even more interesting. And at the end without much difficulty we will make it to stand above 5,000m where we will enjoy an amazing view of 360 degrees. If we are lucky we will be able to see as far as the snow covered mountains of the Cordillera Real and the Cordillera Quimza Cruz. And at the other side the valley of Cochabamba is lying down to our feet. After a picnic and some time to rest and to enjoy the altitude we will descend to the last mountain lake where our private transport is waiting for us to take us back to Cochabamba. Lies mehr über diese Tour auf unserem Blog.